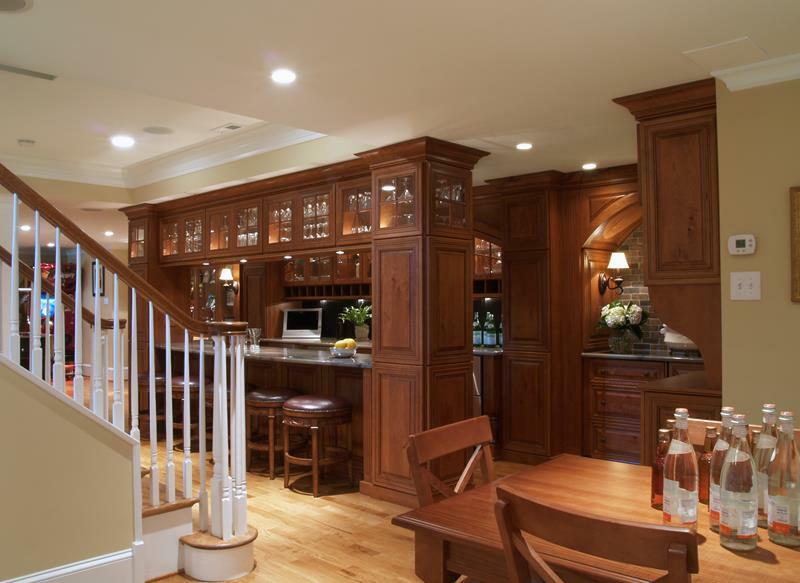 This all-wood bar achieves a distinctive look thanks to the glass-front cabinets that are overhead. If you have a home theater in your basement, you’ll want your full-service bar nearby, especially when football Sundays come around! 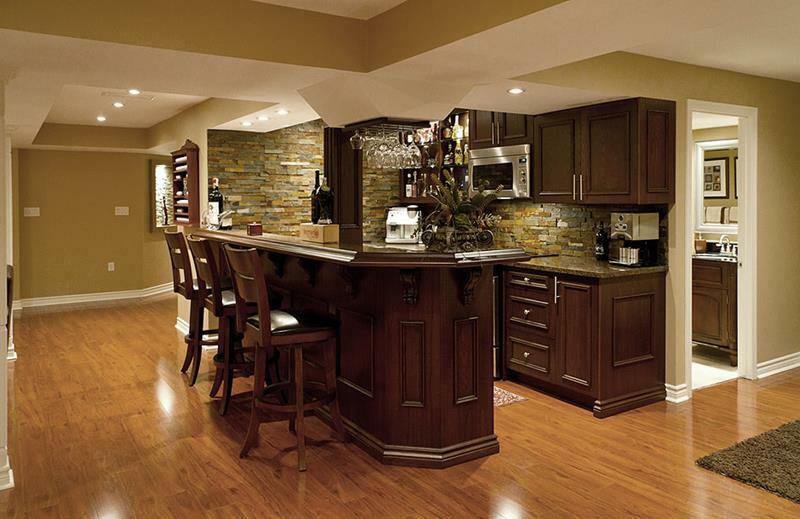 Tucking your basement bar into a space like this will help to ensure you maximize floor space in the basement overall. 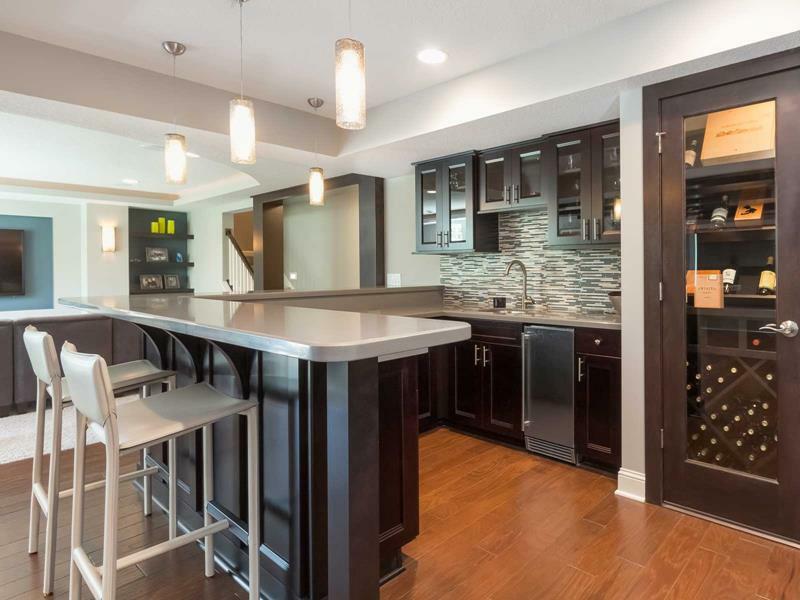 Why lay up on a small wine fridge when you can add a full wine cabinet to your finished basement bar?